If you have recently moved to Arizona, and there is a child custody order in place from another state, you are probably concerned about how your move may affect your rights and obligations as a parent. Or, if the other parent of your child moved out of the state of Arizona, you may be concerned about his or her rights regarding visitation and decision-making authority. 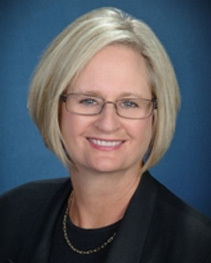 Phoenix child custody lawyer Paula J. Burnstein has assisted many Arizona residents with understanding the complex area of interstate child custody law, as well as international child custody issues. She can guide you through the process, answer your questions, and ensure that your voice is heard and your interests protected. According to Arizona law, a court will honor and enforce a child custody or parenting agreement that was obtained in another state. Before the court will honor the agreement, however, you must register it with the State of Arizona. Registering this order as soon as possible will give the state the ability to enforce the legal rights that the original order created, and it also gives the court system a way to ensure that each parent is following the requirements of the order, such that the child does not become alienated from the other parent. If you have recently moved to Arizona, or the other parent has recently moved out of Arizona, and you do not already have a child custody agreement, you can obtain one through an interstate child custody proceeding. A custody and visitation case that involves parents who reside in two different states is known as an interstate child custody dispute. These matters often involve some initial uncertainty regarding which state’s law will govern the proceeding. Many states have adopted a set of model laws called the Uniform Child Custody Jurisdiction Enforcement Act, which provides the parties with guidelines for determining which state will have jurisdiction over the dispute. Arizona has adopted this Act and its clear rules for determining jurisdiction when no child custody order has been created in any state and when a party is seeking a modification to an existing child custody agreement. In situations in which there is no existing order, the Act gives jurisdiction to the child’s home state. This is defined as the state where the child is residing at the time that the custody proceeding is started, or the state where a parent lives if the child is absent but has resided in that state during the prior six months. Once a state has entered a child custody agreement, that state will have the exclusive authority to make any modifications to the agreement, provided that one of the parties subject to the order still resides in that state. Additionally, courts in other states must honor this order, except in some very narrow circumstances. The Act also gives other states the right to issue emergency temporary orders, such as when the child has been abandoned or threatened with abuse or mistreatment. Under the Act, abuse involves not only abuse against a child or children but also abuse against a parent. If a court does enter an emergency temporary order, and that court also is aware that another state has an existing custody proceeding regarding the children, it must notify the other court immediately. Finally, it is also important to note that the Act provides a process to quickly enforce any visitation or custody orders. Interstate child custody issues can be stressful and anxiety-inducing for all of the parties, as can child support disputes and other conflicts involving children. Attorney Paula J. Burnstein understands this and has assisted parents in cities such as Phoenix, Peoria, Paradise Valley, Chandler, Gilbert, Glendale, Goodyear, Mesa, Scottsdale, Surprise, Tempe, Laveen, Litchfield Park, New River, Sun City, Sun City West, Prescott, and Prescott Valley. Whether you are simply hoping to investigate your options, or you are currently involved in a custody dispute, we are ready to help you fight for your rights and ensure that you receive the fair treatment that you deserve. To schedule your free consultation, call us now at 623-486-9797 or contact us online.